On Thursday, professors from the UC Berkeley department of nuclear engineering answered questions about issues relating to nuclear science and technology. This forum took place as a part of the /r/science AMA series, which began this year in an effort to bring scientists and more substantial conversations to Reddit. To achieve this goal, Reddit staff members are using their contacts in the science world to convince some top-notch scientists to volunteer to participate in AMAs on /r/science. Past guests include professor Jason Shepherd (assistant professor of neurobiology and anatomy at Utah School of Medicine) and Union of Concerned Scientists (authors of a new book about the Fukushima disaster). This week, six professors from UC Berkeley’s department of nuclear engineering answered questions, ranging from concerns about thorium reactor design to environmental monitoring in Fukushima. 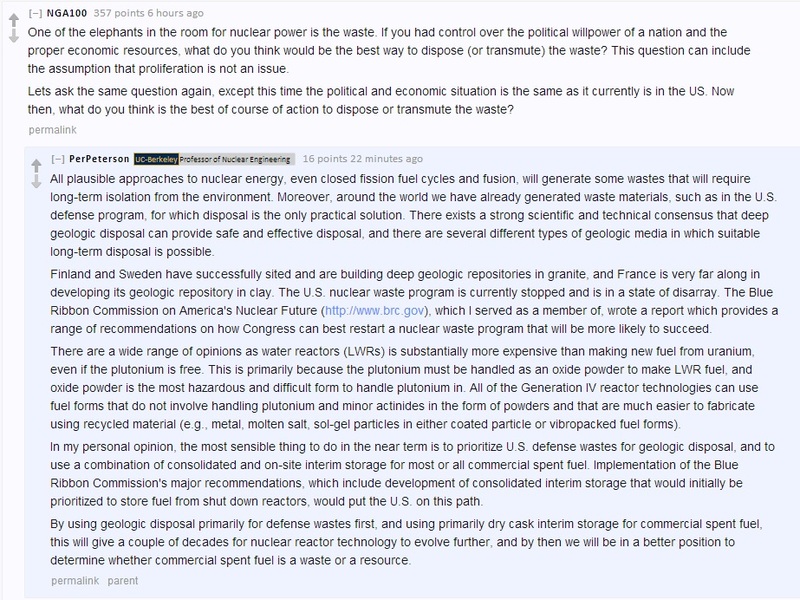 One of the first questions answered addressed the issue of nuclear waste disposal and prompted an in-depth comparison of the actions that other countries have taken in the past. Professor Per Peterson expressed views that prioritizing U.S. defense wastes for geological disposal would be the most prudent course of action. Later, professor Rachel Slaybaugh addressed the question of whether traveling-wave reactors are a viable energy source for the future by evaluating their drawbacks and limitations. A traveling-wave reactor is a nuclear reactor that has the potential to convert fertile material into usable fuel. TerraPower is a specific nuclear reactor design spin-off company of Intellectual Ventures, and Bill Gates is one of the company’s primary investors. 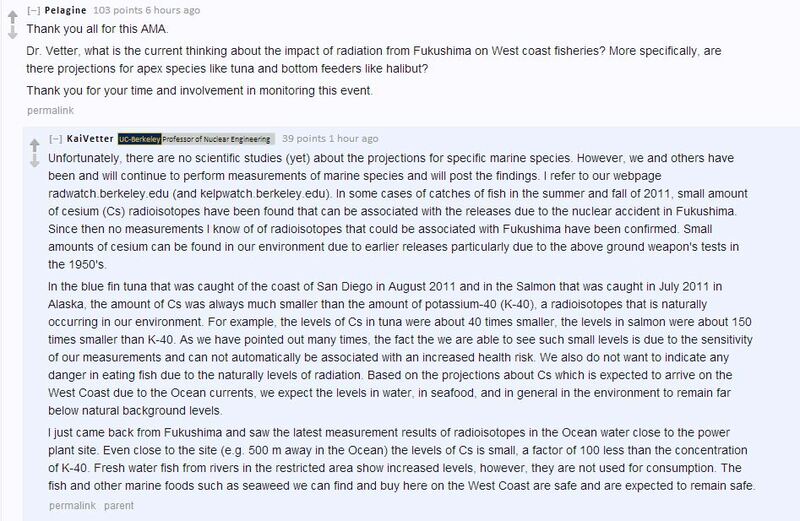 Then, one participant raised the question of how Fukushima could affect marine life in the Pacific Ocean. 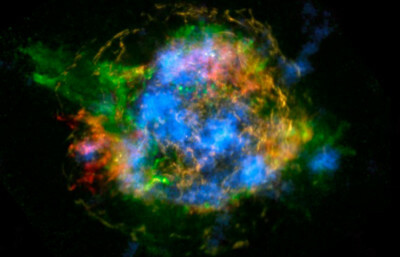 Professor Kai Vetter truthfully responded that studies have not yet been undertaken to explain the effects but provided an analysis of radioisotope occurrences in the environment and a prediction of how the radiation could affect natural life in the near future. This AMA Science series will continue on March 24 with Leroy Hood, who will be answering questions about personalized medicine.